Ever wonder what your daily math block should look like? 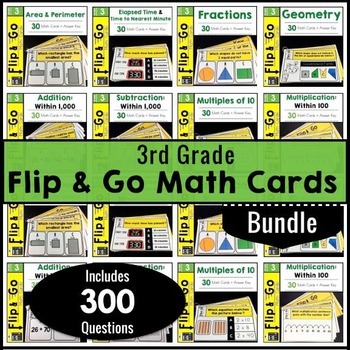 A well designed math block incorporates whole group and small group instruction. It also provides time for teaching new skills, practicing for mastery and reviewing previously taught skills. However, there are two things I want you to keep in mind. The ideal and the real. And I’m going to share both. First, let me share what an ideal elementary math block looks like. When I say ideal, I’m talking about a math block that is 75 minutes or longer. Any good lesson starts out with an engaging opening. Math is no exception. This section of your math block should be fast paced. This is either the time for a quick review or a way to interest your kids in a brand new topic. Remember, you want to spend the bulk of your time in centers so that you can work with your teacher led small group. After your students are good and warmed up, move on to your direct instruction. This is the part of your daily math block when you are teaching a mini-lesson. 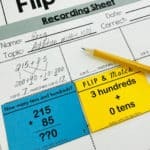 You’re teaching and modeling new concepts by using think-alouds and clear visual models. It’s also the time to do guided practice. Set aside a short amount time for students to actually practice what you’re modeling. 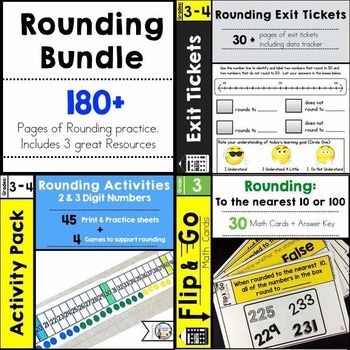 This can look many different ways: interactive large group activities, partner work, etc. Be strategic. Stay focused on the topic. Otherwise you may find yourself going down a rabbit hole and then not having enough time for math centers. Teacher Tip – Since this is a “mini-lesson” after you explicitly model you may not get to guided practice on the same day. That’s OK! You can do guided practice the next day. The important part is to make sure you are modeling AND then providing support. 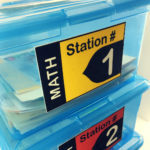 Now that you’ve taught your mini-lesson…it’s time for math centers. There are 2 different things going on during this portion of your math block. 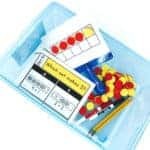 Math Centers – Students practice and review math skills in small groups or pairs, without teacher support (You’ll be at working with your small group). Kids transition through a series of activities that are at their independent level. Remember this is review. The key is to NOT include content that your kids don’t know. Your kids will become frustrated which will ultimately frustrate you. And that’s what we don’t want. Teacher Lead Small Group – This is my favorite part of the block! 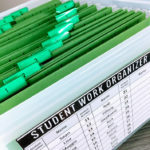 While the rest of your class is working in centers, you’re targeting instruction with a small group of your students in order to meet their needs. It’s that magic time of the math block because you get to see and correct misconceptions up close. This is where you get to move your students. You’re finished with your last teacher led small group and the rest of your students are cleaning up their stations. It’s time for your kids to show what they know. Let’s move to the last part of an ideal daily math block. Time to assess. This is the time to do a quick check of the day’s learning. It’s not a formal test. Now that I shared what an ideal guided math block looks like, let’s discuss some real scenarios you may have questions about. So what happens if you have less than 75 minutes for math in your schedule? Say 60 minutes. You’ll have to cut back on the amount of small groups you can see. 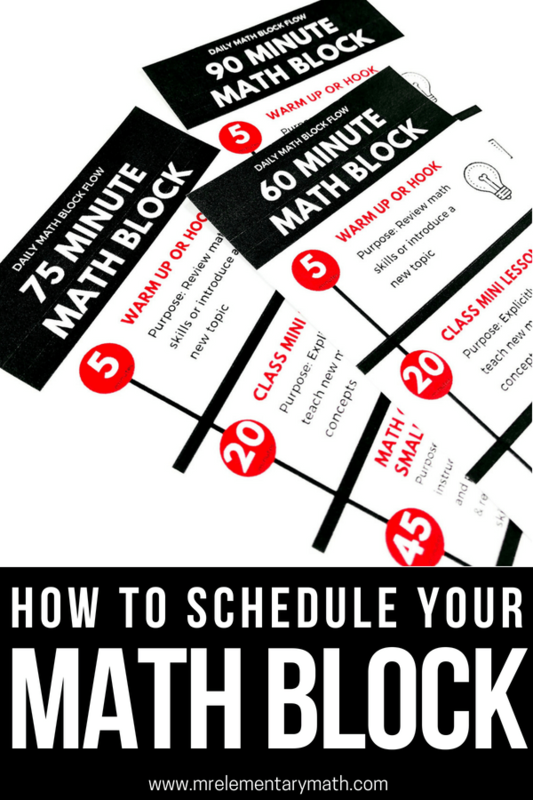 Download my free Daily Math Block Schedules you see sprinkled within this post to get a 60 minute schedule. What about if you have more than 90 minutes? GREAT! You hit the math jackpot. You can see more small groups and even have time to do some one-on-one student conferences. Download my free Daily Math Block Schedules you see sprinkled within this post to see what this can look like. What about if you only have 45 minutes? This definitely isn’t ideal. But let’s keep it real, I know that some of you only have 45 minutes. The first thing, I strongly suggest that you advocate for more time for math. With that out the way let’s get real creative. Then continue the pattern for the other days of the week. 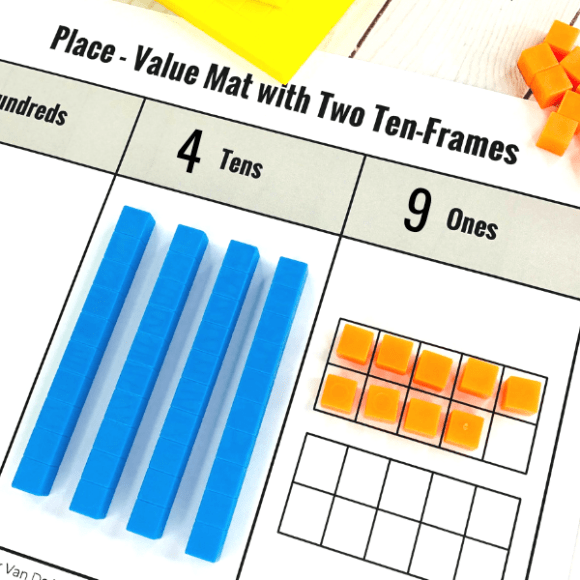 Hopefully you have a better idea of how you can map out your math block. 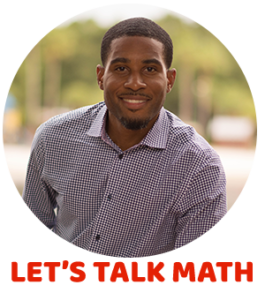 And if you want to know more about how to run successful math centers during your math block, check out my course Math Centers 101.